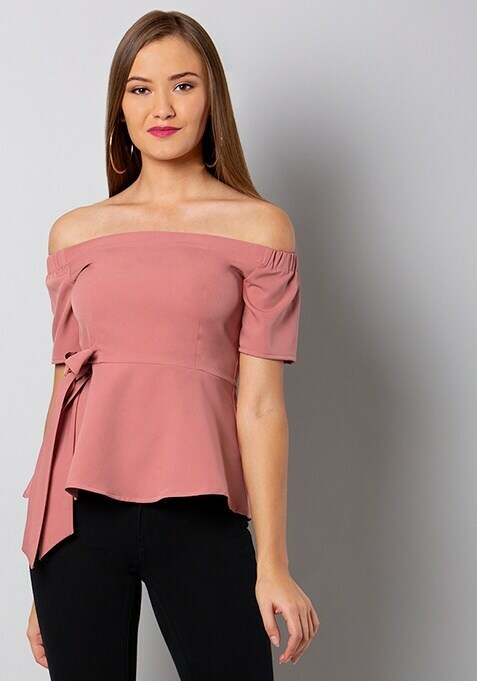 Pack a style punch with this pink bardot top that has been specially designed for a sensuous appeal. Features off the shoulder design and a tie up on the front. Work It: This top looks fabulous with regular fit jeans and comfy block heels.